Speaker: Lucio Cuenca Berger, OLCA (Latin American Observatory of Environmental Conflicts). Lucio is an engineer and Director of OLCA. OLCA works for environmental justice, accompanying communities in conflict with economic projects threatening their lands and livelihoods and challenging the extractivist economic model. 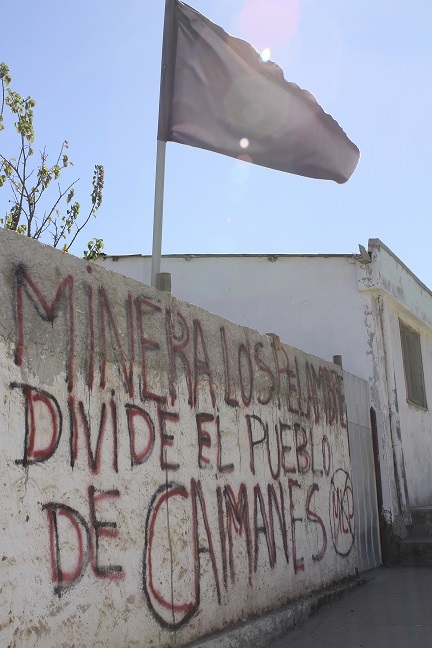 OLCA has worked with communities affected by the Los Pelambres copper mine, owned by London-listed mining company Antofagasta, whose AGM takes place in Westminster on 24 May. There has been a history of conflict around this mine over water use and pollution and fears over what might happen if its huge waste dam were to collapse. Lucio is also on the directorate of OCMAL, the Observatory of Latin American Mining Conflicts. Organised by London Mining Network, Latin America Bureau and War on Want with the assistance of Institute of Latin American Studies. If you wish to attend this event, please sign up at https://www.eventbrite.co.uk/e/mining-conflicts-in-chile-the-british-connection-tickets-34619550006.